Standing out among the competition in the roofing industry is easier said than done. With so many professional roofing companies to choose from, it can be difficult to stay ahead of the crowd online and in the market. Although traditional marketing platforms such as billboards, newspapers, television, and media can still be utilized, the digital roofing marketing far outranks every other platform in consumer use and utilization. In other words, if you’re not showing up on Google searches, your roofing company doesn’t stand a chance at expanding your customer base. While Google has been around for years, the original version was very different than today. In the early years, Google was known for delivering basic search results that were judged by the number of links, length of content, and the number of keywords used. However, as time passed, Google strengthened its algorithms to rank its results on multiple points such as quality content, site authority, and user experience. Google Search is the Number One Way the Public Finds Services, Products, and More. As Google searches began delivering better results, the general public began to rely on the platform more and more. Today, Google is the number one way consumers find information on products, services, and any other information they may need. In fact, Google processes more than 3.5 Billion searches per day worldwide. As the number one way the public finds information, it stands to reason that being found on Google and similar search engines is crucial for your roofing business success. But how does Google decide which businesses show up on its Search Engine Results Page (SERP)? Google uses bots to crawl every site when a search is performed. These Google bots search for information and content relevant to the query and deliver what it deems the most helpful results to its user. Creating online content that is easily indexed by Google bots is the only method of appearing on a Google results page. This technique, called Search Engine Optimization (SEO), is a way of improving your roofing marketing by making your roofing website more visible to Google bots, resulting in higher search rankings. Roofing SEO is composed of multiple factors that work together to provide Google crawlers with a clear picture of what your content is about how relevant it is to searchers. Optimizing your website can not only make you more visible on traditional Google searches but also helps with Google Maps rankings. This is crucial for your business since nearly a third of all mobile searches are location driven. So, how do you have superior roofing SEO on your website? In Roofing SEO, keyword utilization is crucial. Keywords are words that Google recognizes as content identifiers and uses to index your roofing site’s information. Within your site, there should be national, secondary, and service-related keywords to ensure complete indexing of your information. By working together, each of these keyword types can contribute to higher rankings for your site. These keywords, also known as top keywords, are the most searched terms of the category. These are typically general keywords and cover an extensive array of information. Terms like Roof Repair and Roof Installation fall into this category. The first step in keyword research is to identify the top 100 national keywords related to the roofing industry. These words will be used on every page throughout your roofing website with concentration to top level pages. Using Nationally Ranked Keywords Helps Develop the General Idea of Your Roofing Website. “Near me” and other local searches are taking over the online world and the roofing industry is no exception. In order to be found in local and map searches, local keywords must be utilized throughout your roofing site, focusing on H1s on top-level pages. These keywords consist of top and secondary keywords that have a location longtail tag attached. 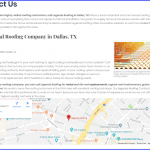 If your roofing company is located in Dallas, TX, then a good local keyword may be Metal Roofing in Dallas, TX. Utilizing Local Keywords Helps Rank for More Focused “Near Me” and Other Location Searches. These keywords are more specific and while they are searched less, they produce a more focused return. These terms should be used throughout your roofing site but should be concentrated on secondary and tertiary pages. 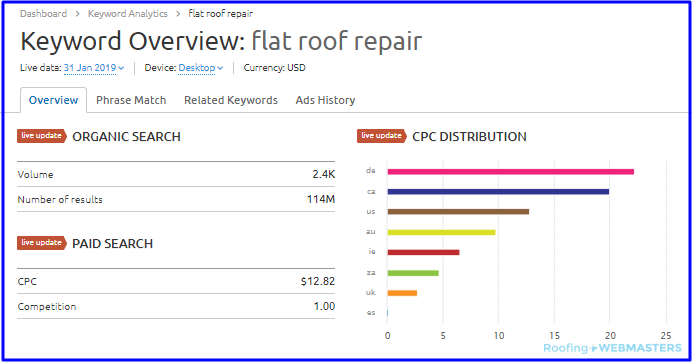 Keywords such as Corrugated Roof Repair or Foam Roof Replacement are examples of well-performing service keywords. 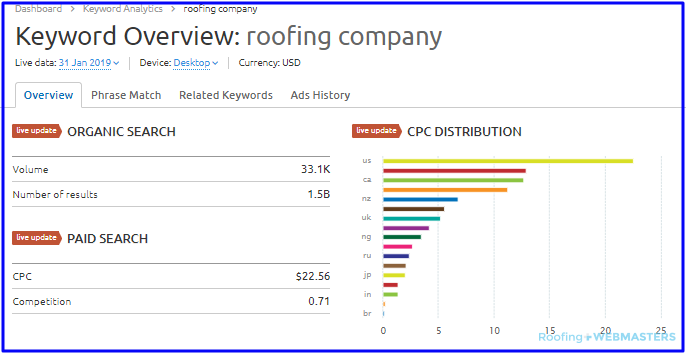 Service Keywords Help Your Roofing Company Optimize for More Specific Searches. In order to identify the best keywords to use on your site, thorough research must be completed to find the most effective keyword choices. Programs like MOZ and SEMRush offer high-quality keyword reports that include details like search volume and difficulty, and competition level which can be helpful when strategizing keyword placement. Volume: This metric represents how often the keyword is searched, delivering vital popularity information. Cost Per Click: By using this metric, you can see how difficult it is to rank in the top 20 for the keyword and how much a campaign with the term will cost. Competition Level: This metric can be used to find out how many other brands are competing for this keyword and how difficult it will be to rank for the term. Each Keyword Metric Gives Valuable Information About the Keyword’s Effectiveness. Use keyword research programs like MOZ or SEMrush which can deliver useful information on each keyword choice. 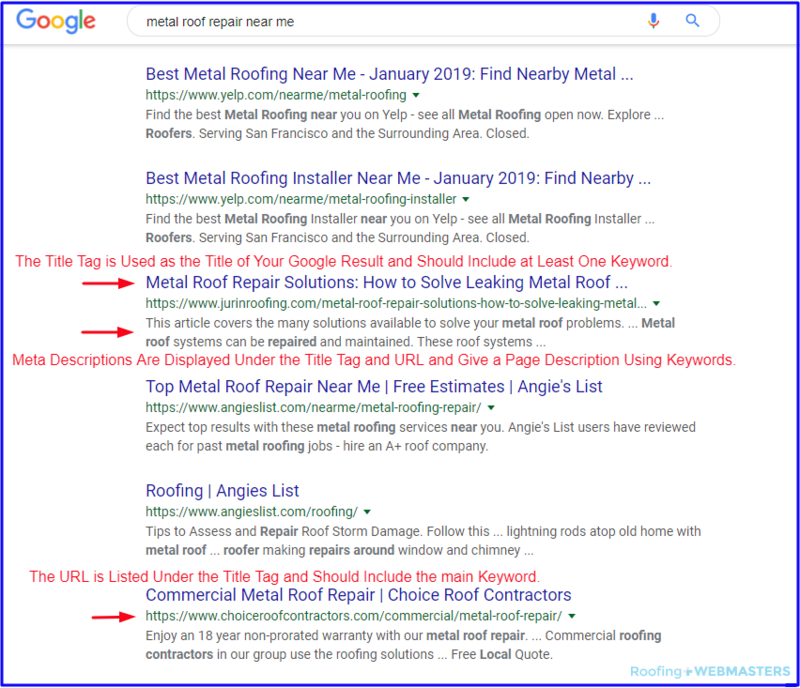 Each of these programs offers metrics and details on every keyword and keyphrase to help you decide which keywords are most beneficial to your roofing site’s SEO. They also offer saving and storage advantages to help analytics and adjustment efforts. The page that appears when a branded search is done is called a company Google Homepage. This page displays your company’s pertinent information in the knowledge graph such as your location, hours, services, and contact information. The knowledge graph is located on the right side of your Google homepage and also provides information like customer reviews, ratings, photos, and recent posts. 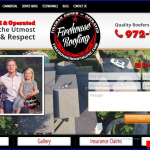 On the left side of your roofing company’s Google homepage, results from your website, social accounts, and other links such as directories and linked sites. Your Google Homepage Displays Helpful Information and Links for the Searcher. 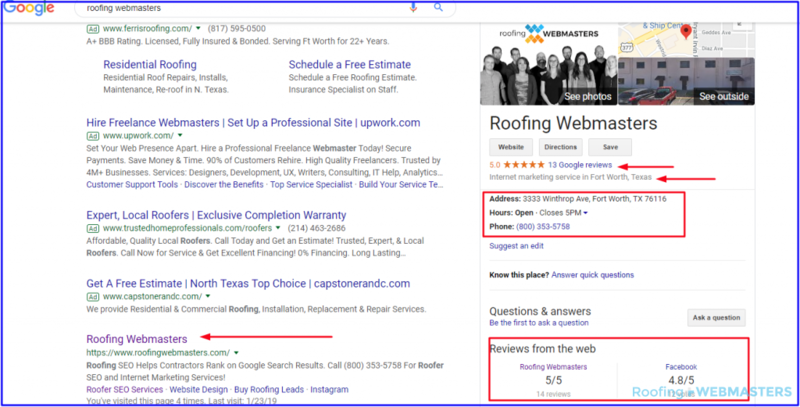 Keeping your roofing company’s Google My Business account up to date is imperative to rank on SERPs. In fact, it’s impossible to appear in Google searches without having a Google My Business account since this is what Google uses to find businesses. To set up your account, simply verify your business’ location and contact information with Google. Along with contact details, add your services, hours, and photos to your business account for optimal results. You can also add reviews, ratings, and content links to further optimize your listing and tell Google exactly what your business does. 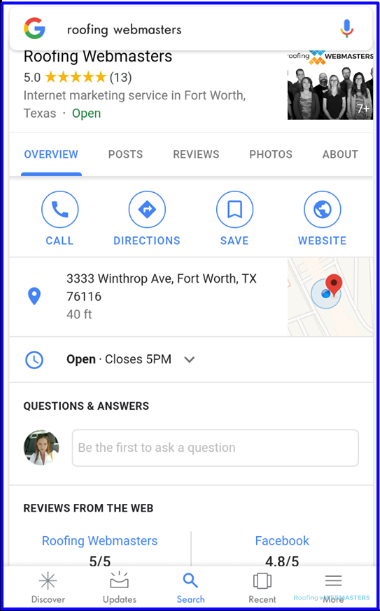 Google My Business in Mobile View Still Displays Crucial Business Information. One of the best ways to improve your roofing marketing efforts is by building citation links across reputable platforms. Directories like Angie’s List, HomeAdvisor, and Yelp provide local searchers with information about professionals in their area and are great ways to build your online presence. Creating NAP (name, address, and phone number) citations on these sites can not only help present your company on multiple platforms but additionally increases your site’s authority, resulting in higher rankings on SERPs. Listing Your Business on These Sites Can Help Develop Authority and Links for Better SEO. To create effective NAP citations, your information must be uniform and accurate on every listing. Your company name should be listed completely, including all suffixes, and the address should be written with no abbreviations. Your phone number should also be formatted the same way on every citation. An effective NAP citation is written like as follows and is presented the exact same way on every directory. Citations can be built from a plethora of directories, business forums, and other avenues. However, creating citations on the top directory and forum sites can boost your Roofing SEO and rank. 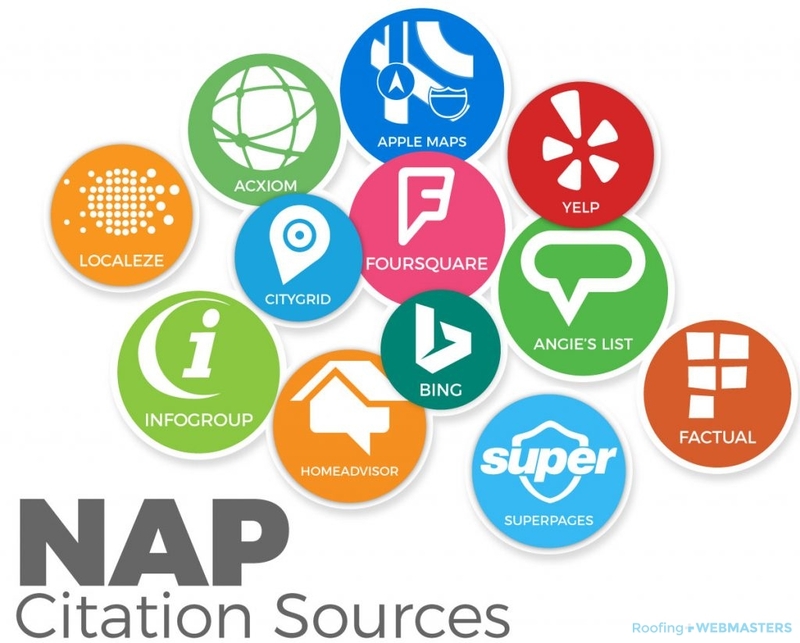 Begin by creating citations on the following platforms to ensure your roofing company’s NAP citations are effective and productive. While other SEO techniques are helpful, the truth remains that content is still king. Google updates like Panda and Penguin have raised the bar on content and structure, making it more important than ever to deliver helpful, detailed content that offers helpful information to Google searchers. Fortunately, quality content that is easily indexed for higher roofing SEO can be achieved by implementing a few key techniques. Included within your content should be crucial SEO formatting that helps Google more easily index your information for SERPs. It’s important to use H2 and H3 headings throughout your content, not only for better flow but also to signal to Google bots what the body will be about. Formatted schema lists are also crucial for helping Google to accurately present your content. Using SEO Techniques and Meta Data Boosts Your Google Rank in Search Results. Once the body of your content is optimized, the metadata must be completed for optimal search ranking. The title tag is displayed on Google as the title of the Search query. These tags should be 60 characters and include a keyword and location tag. Along with the title tag, your meta description will display on Google search results. Presented as the description underneath the title tag, the meta description gives the searcher an idea of what the content is about. Therefore, it should include multiple keywords along with a location and brand tag. The addition of rich media formats like graphics, photos, videos, and podcasts can improve user experience while offering key SEO opportunities. This is because Google presents its searchers with a varied mixture of results to provide the best, most relevant information possible. When your content includes various styles of rich media, your chances of ranking higher or multiple times on a SERP increase dramatically. Although rich media can be an effective method of improving your roofing SEO, it must be optimized to be productive. Just like your content, your images, video, and audio must have qualities that tell Google crawlers what information is being presented. Since Google bots can’t yet detect the idea and information presented in audio and video formats, great SEO qualities are crucial for indexing. In order for your images to be indexed correctly by Google bots, they must have specific SEO elements. Your image name, title, caption, and alt text are important SEO categories. Each of these data fields gives Google clues as to what your image is about. Image Name: Create a unique image name that uses a keyword and accurately describes the image. Title: The image title should include the keyword that your page is being optimized for. Caption: Your caption should include a primary and secondary keyword and link the image to the content. Alt Text: The alt text is displayed when the image itself is not. In this category, describe the image itself. WordPress Offers Easy Meta Data Addition for Images and Videos. Brand Your URL: Give your video a unique benefit by editing your URL to include your brand and a keyword. Title: The title of your video should be approximately 5 words and include a primary keyword as well as a secondary term. Description: The description of your video can be up to 5,000 characters and should include a branded keyword, primary keyword, and secondary keyword. Transcript: Add a transcript of your video to help Google bots decipher your content easier for higher rankings. Along with images and videos, audio recordings and podcasts can add to your site’s SEO when added correctly. Like videos, podcasts are typically hosted by a third-party platform such as Blubrry or PodBean. These platforms provide SEO datasets and can link to platforms like Spotify, Castbox, and Stitcher for maximum exposure. However, effective SEO tactics are crucial for your podcast to appear on Google and other search platforms. Show Title: This will be displayed on the main search page and should be no longer than 60 characters. It should include a Primary keyword and a branded keyword For full optimization. Show Description: This is a general description and should include a branded keyword. Episode Title: This title will be displayed on your show RSS feed and should include at least one service or secondary keyword. Episode Description: The episode description is more detailed than the show description and should include multiple primary and secondary keywords. When a Search is Performed, Matching Results are Listed on the Show Title Page. Once a Show is Chosen, Your Roofing Company’s Episodes are Listed. By Clicking the “See Description” Option From the Episode List, Viewers Can See an Episode Description. Another large factor in Google ranking links back to user experience and ease of use. 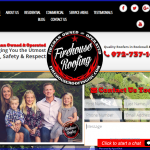 When your roofing site is well-organized and provides a lot of compelling content, it can result in decreased bounce rates and increased backlinks, both of which positively affect your roofing marketing and SEO plans. In roofing marketing, the user experience can mean the difference between your company and your competitor. But, how do you create the perfect user experience on your roofing site? Have you ever visited a site and the content seems to be all over the place? Properly organizing your content not only helps Google index your site correctly but also helps users navigate easily to effectively locate the information they need. The page structure of your roofing site lends to easy navigation and should be organized in a three-level format. Use Page Structure to Develop Easy Flow Through Your Website and Offer Better User Experience. Once your page structure is organized, you can begin editing your URLs for better optimization. The URL not only tells Google where your information is located but can also give hints as to what details will be presented. A well-structured URL will be concise, unique, and keyword inclusive. Your URL should clearly state what the page is about by using the main keyword. For example, a tertiary page URL may resemble http://OurRoofingCompany/residential-roofing/premium-roofing/wood-shakes. This tells Google and the user exactly what information will be found at this URL address. The URL Structure Helps Google Accurately Index Your Page. How long a user stays on your site greatly depends on how well your site loads and looks. Optimizing your site for quicker load times across all devices will increase usability, improving user experience and boosting rankings. There are multiple ways to help ensure that your roofing site is equipped with quick load times. Optimizing your rich media can help your site load faster and present your images, videos, and podcasts better. Before adding rich media to your roofing site, ensure that it’s sized appropriately. Even shrinking the image on-site will have no effect since the entire image will load and then shrink. The image must be sized correctly, then added. Mobile and responsive design are other ways to easily reduce load times on your site. These optimization techniques provide a better user experience across devices and present information in an easy-to-view format. Responsive Design: With this design style, your site easily adjusts to all devices without the need for zooming or scrolling. With responsive design, your viewer gets a great experience on laptops, tablets, smartphones, and desktops. Sites With Responsive Design Display Perfectly on Any Screen. Responsive Design Websites Adjust to Tablet Screens for a Better user Experience. 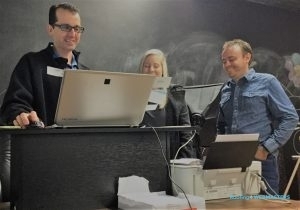 Mobile Design: This presentation method removes all excess coding and commands to present a simplified and quicker-loading version of your roofing site to viewers on smartphones and mobile devices. Mobile Optimized Sites Only Display the Most Crucial Information and Graphics for Minimal Load times. Effective online roofing marketing results in an increased number of conversions. 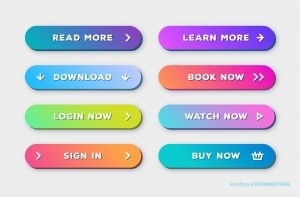 In order to complete the conversions your business needs to be successful, include calls to action on your roofing site. A call to action is a link, an image, or a snippet of copy that is used to persuade the user to complete the desired action. 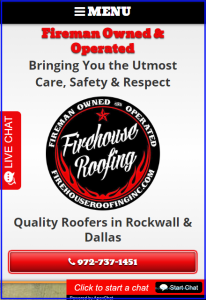 Calls to action should be front and center on your roofing website and should present a clear motive. Whether you want your viewer to call for an appointment, click to learn more, or offer a review or opinion, the message and expectations should be clear and to the point. Each of These Call to Action Options Provides Easy Flow and a Clear Goal. When structuring a call to action, remember to use terms that evoke feeling. Words like ‘now’, ‘don’t wait’, and ‘before time runs out’ evoke a sense of urgency, while terms such as ‘safety’ and ‘comfort’ play off of the quality of life expectations. Using words like ‘savings’, ‘discount’, and ‘free’ can create a sense of savings that can lend to both quality of life and urgency. Your call to action should be planned to evoke a feeling or emotion that will help persuade the desired conversion. With the right call to action, your roofing marketing efforts will attract the right customers with little input from you. Ensure that your viewers are able to easily locate your contact information in order to maximize conversion rates and your roofing company growth. There should be multiple links to your phone number and any other method of contact throughout your site so viewers can easily progress to the next step. Linked contact information also means that your customer can complete the desired process in one easy step instead of having to switch screens. Providing Multiple Contact Opportunities Increases Your Chances of Conversion Completion. Enter the exact address of your company into the search box on Google Maps. Once the location is pinpointed, select the share option from the right side menu. Select the “Embed a Map” option and size to suit. Copy the provided HTML code and paste it to the code of your site. 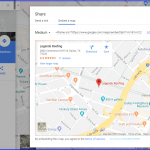 Once your embedment code has been entered, Google can begin optimizing your roofing site for location searches as well as keyword searches, dramatically boosting your chances of appearing in organic search results. Enter the Cose Into Your Roofing Site Coding to Display a Map of Your Location. While organic SEO is the most effective way to reach customers online, Google Ads are close behind. Google ads are the top search results in a Google or map search that have an “Ad” tag. Google campaigns are created in Google Ads and are based on Pay Per Click advertising. This means that every time a viewer clicks on your ad, you are charged a fee. Your ad is displayed according to the keywords you have bid on along with the authority of your site. Google uses an algorithm to compute each site’s trust along with their keyword bid amount to choose the winners of each keyword search bid. Another top marketing tactic for online expansion is the utilization of social media advertising. Each social media platform offers PPC, or pay per click, commercial marketing for any type of business, including roofing companies. Pay per click advertising means that every time your ad is clicked, you are charged a set amount. Social media ads are used to boost visibility and awareness of your business along with generating links and likes for your company. The average person visits Facebook 14 time per day. This means an almost endless customer base is at your fingertips every day. But how do you effectively reach them? Your roofing company’s Facebook efforts don’t need to be highly organized to be effective. They simply need to address topics that interest your customer base. Post content that answers general questions, refers viewers back to your site and delivers new and fresh information. For paid marketing efforts, Facebook PPC ads are simple to create and can be completely customized to target a specific age group, location, interest, and more. These ads are based on a set amount that you would like to spend and are shown to viewers with your pre-chosen qualifications. This social media platform is become more and more popular and offers a great platform to advertise your projects, services, and promotions. Twitter, like all social platforms, can be linked to your website and can offer linking opportunities and content sharing to boost SEO and expand your customer base. With more than 7,000 tweets sent every second, your reach is boundless on Twitter. However, this also means that your posts have a much shorter shelf life than other social media platforms, so they must be compelling and entertaining to have an effect. Pay per click advertising tactics are also offered by Twitter and have the advantage of no minimum budget. Twitter allows you to target your advertising market by both demographics and psychographics for ultimate reach to your most likely customers. Avoid automatic advertising and posting to have the best effect, and use the analytics tools offered by Twitter to measure your account’s success. As the current most popular social media platform, Instagram offers a unique opportunity to showcase your workmanship and abilities through photos and videos. This platform is ideal for creating a portfolio of your company’s work and expanding your customer base according to the service needed. Instagram currently has over 1 Billion users, 80 percent of which follow at least one business account which equates to unrivaled opportunity to show off your team’s skills. While posts on Instagram are not shareable, they do create unmatched awareness and linking opportunities. Instagram offers business accounts that are able to target audiences by demographics as well as interests and behavior. Easy to follow metrics such as follower growth and impressions make Instagram a simple platform to use, even for the novice user. Ensure that your Instagram account is set up correctly to fully enjoy the benefits and metrics offered, such as company advertising campaigns. These ads can quickly be set up and are shown to an audience that you can customize by demographic and interest and operate on a PPC foundation. Digital advertising has been named the most effective tactic for marketing to your customer base. With countless people using Google to locate services, products, and almost any other need, and Facebook to stay connected to the community, the marketing opportunities seem to go on and on. However, not every viewer equates to a customer. So, how can you create even more conversions and sales with your viewers? Remarketing is a marketing tactic that re-presents your content to previous viewers for increased conversions and completions. Offered by Google and Facebook, remarketing techniques utilize a tracking code that is embedded in every desired page in your roofing website. Then, as viewers visit your site, they are tagged for later marketing efforts on Google, YouTube, Facebook, and other search platforms and increases conversion and completion likelihood. Just like any strategy, your roofing site’s SEO performance should have a method of measurement to ensure effectiveness and efficiency. Fortunately, SEO analytics are easier than ever to track and record through the use of various analytics platforms and programs. Using these tools correctly can not only help you identify what is working but also what tactics could use revision to get maximum results. With the help of each of these tools, your site can expand its reach and its customer base organically. When you activate your Google My Business account, you gain automatic access to the Google Analytics platform. With these tools, you can find crucial information like bounce rates, keyword effectiveness, and more which can help you maximize your roofing SEO efforts. To begin using Google Analytics, just connect your website to the analytics tracker from the “Analytics” menu on your Google My Business page. Once your website is logged, Google Analytics will begin to track actions and viewing stats so you can effectively adjust and revise your efforts. While you can utilize a multitude of metrics and analytics tools from Google, the following tools are the most popular and most utilized. These Popular Google Analytics Tools Deliver a Complete Look at Your Site’s Success. Besides these helpful metrics, you can also take advantage of metrics and analytics that address more detailed information such as viewer behavior and experience to ensure that your site is always performing as well as possible. These Google analytics deliver real-time information and data that can be used to revise roofing marketing plans and calls to action, e-commerce efforts, and even Google Ads and social media efforts. Active users: This report displays the number of active, new users on your site in the last 1, 7, 14, or 28 days. Use this information to find out how effective your keywords and other SEO efforts have been. Lifetime Value: Discover the value of each viewer to your business and where they originated (i.e. social media, email, or organic search). Behavior Flow: Learn what path your viewer took through your site, from entry through conversion, to find out which of your calls to action and other efforts are most effective. Site Speed: Find out how quickly your pages are loading and how fast information is being delivered to your viewers to maximize your roofing site’s optimization. Facebook, Twitter, and Instagram each offer a set of analytics tools that can be used to measure your roofing marketing efforts’ effectiveness and reach. Use tools such as likes, views, and shares to find out how your audience is responding to your posts and adjust your efforts accordingly. You can also learn how many of your posts resulted in conversions and visits to your roofing website which can help decipher which marketing efforts are the most effective. These analytics tools can also be used to measure ROI on individual marketing efforts, an advantage that can be found only with online roofing marketing. Along with the tools offered onsite, there are multiple third-party programs and sites that offer helpful social media analytics for both organic and PPC efforts. Companies such as SproutSocial, Unmetric, and BuzzSumo are great options for measuring effectiveness, reach, and conversions for all social media platforms. Use SproutSocial to discover the most searched hashtags, keywords, and key phrases and measure your post effectiveness easily and accurately. Unmetric offers real-time information as well as ideas and strategies for improved engagement and sharing. BuzzSumo offers unique analytics on website content that is shared to social media. Use this information to measure your content’s effectiveness. Our Experts Are Ready to Help You Expand Your Business With Online Roofing Marketing. When you need roofing marketing for your company that gets results that you can see, call the roofing SEO experts at (800) 353-5758 today. We provide complete online roofing marketing and advertising services that expand your customer reach and help to get your company the leads and opportunities you’ve been looking for. 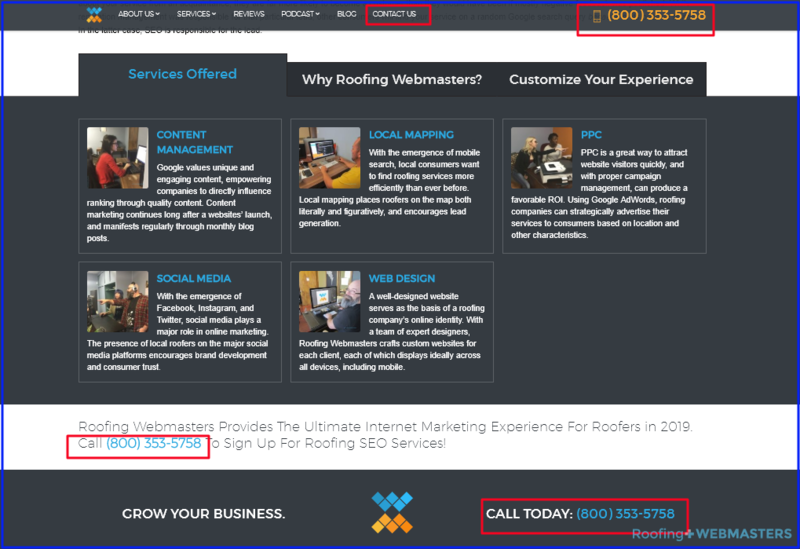 Call the Roofing Webmasters team now to learn how our roofing marketing team can help your business get found.